Magento is one of the famous Open Source E-Commerce Platform which has rich features of E-Commerce Solutions which give you the complete flexibility over the website, may it be its look, content or functionality. It also has many different features in it that is, it is SEO friendly, has CMS applications and robust architecture. We build applications which best suit our customer’s budget and business interests. Our Magento Development team takes Magento development to the next level, moving towards an e-commerce framework solution which is easier to develop and maintain and which minimizes the cost of maintenance of the systems. At OdiTek you can get the Magento Development in order to make it more useful for you and for your business needs. E-commerce framework solution which is easier to develop and maintain and which minimizes the cost of maintenance of the systems. We are nothing but a very simple Magento development company having sure shot Magento related solutions and attractive designing skills. At OdiTek we have an expert team of Magento Developers who have great working hands at Magento and they have been delivering professional quality services to our clients. Our aim is to provide with best Magento Development to our clients and help them to enhance their business profits. Our developer has a profound knowledge of all the technical fields and terminologies. Also, they are keen interested in knowing about the latest concepts and updates related to his portfolio. Our developer are capable of building a full-fledged website from scratch. OdiTek team creates a powerful impact on its business as well as on its clientele by Professional behavior. Developer comprehends the quality of multi-tasking which they can inhibit while working on business projects. They build highly innovative and creative shopping stores that hold customers back to the website. Understanding your business requisites is the main motto of our web developer so that we can plan out strategies to meet your demand. 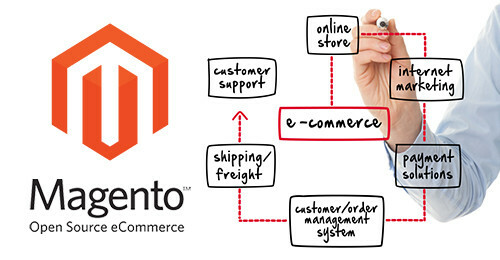 Magento is a complex system and without proper tools, development for the system can get complex. This free Magento extension helps developers to understand what is going on in each request. It is capable of showing the layouts and blocks involved in building content of pages, loaded models, collections, as well as controller action and params. It also allows you to quickly clear cache, toggle displaying block hints and so on. It has the ability to show profiler output. Easy Template Path Hints extension is used to turn on the template path hints for frontend & backend easily. Module to provide common functionality across Fooman extensions. This is another Magento debugging toolbar based on the one for Django framework. It has similar features to the Developer Toolbar, but has a different look and feel to it. Up to developers to decide which suits them better. Code quality and scenarios are easy to test with this extension. Implementing a bridge between Magento specifics and PHPUnit. It allows you to find configuration problems, errors in rewrites and check if a module behaves properly with a set of incoming data.